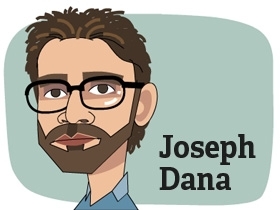 +972’s Joseph Dana . While obviously things have not yet escalated into ‘real’ violence on either side – the video certainly gives a taste of what modern warfare is like. This is not “Band of Brothers”, “The Pacific” or John Wayne. This is a surrealistic scene where passing cars conduct their day-to-day business as the combatants spar in their own highway-divider delineated arena. Where stones, rolling blazing tires, and fireworks match forces with rubber bullets. Where a Fox News reporter can jest that at least the “tear gas is clearing up my sinuses”. But the strongest impression is that for now this is a contest of that certain type of Male Testosterone that dominates young men. Frankly, I don’t really see much difference between these boys on either side. They are kids – representing their people. Two tribes – facing down each other as tribes have done for thousands of years. For now, while tragically there are injuries, they are nothing compared to what we all can imagine will happen if things escalate as they did during the Second Intifada. I only wish that the American Jewish Community would be doing more to prevent it by urging our politicians to hold down the rhetoric here in the U.S. By loudly protesting against the threat of pulling aid from the Palestinian Authority. 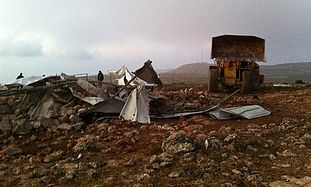 By supporting the long-held official policy of the U.S. against the building of settlements in the West Bank. The “Israel – Right or Wrong” position of seemingly the loudest and wealthiest in the Jewish community is as dangerous now as the “America – Right or Wrong” advocates were during the Vietnam war. The consequence of stifling debate always leads to bad decisions. So please – watch this – and let me know your thoughts with a comment below. Netanyahu Makes Big New Plan: He has agreed to Sit Down with Palestinians and Negotiate Based on ’67 Borders With Swaps. Of course, this has this been the Understood Basis Since 1993. Oh, and didn’t Someone Else mention this less than three months ago? Although for those of us who really care about peace, this could be a really good thing, it would seem to put a bit of egg on the face of a lot of folks here in the U.S.
“…In a speech about the Middle East in May, Obama proposed negotiations based on the pre-1967 line with agreed swaps of territory between Israel and a Palestinian state. Netanyahu reacted angrily, insisting that Israel would not withdraw from all of the West Bank, though that was not what Obama proposed. Part of the reason, he [an anonymous Israeli official] said, was that Israel is seeking to persuade the Palestinians to drop their initiative to win U.N. recognition of their state next month, something the Palestinians are doing out of frustration with stalled peace efforts. In an eerie parallel to the debt crisis Kabuki theatre that we have been watching here in the U.S. (and it is far from over, IMHO – this has just been the warm-up, wait until we really get to election season), the Israelis and the Palestinians have each painted themselves into a corner – on opposite side of the room. Netanyahu’s ‘refusal’ to negotiate based upon ’67 borders with swaps was like taking the negotiations back to square one. Not only impossible, but insulting. On the other hand, Abbas’ plan to go to the UN is fraught with dangers – probably more for himself than for Israel. One of General Sharoni’s points when he was in town last week was that Abbas needs to “deliver some goods” for his people or his leadership will weaken significantly. On the surface, if the Palestinians are able to obtain “observer State” status in a vote by the General Assembly” (the U.S. will almost certainly veto full admission to the U.N. in the Security Council), it would appear to be a victory for Abbas. However, nothing on the ground will change. As a matter of fact, Israel could well tighten its security regimen in anticipation of increased resistance – whether violent or non-violent. Therefore, the “expectation gap” of the Palestinians in the West Bank could well expand – which could actually bring the situation from simmering to boiling – and could possibly spin out of control. Bottom line: Signs are that Abbas will jump on this opportunity right away and use it as a rationale for postponing the push to the UN. Then, the question will remain as to whether this is just a gambit on Bibi’s part to head Abu Mazen off at the UN pass – or whether he is really ready to move the peace process forward. 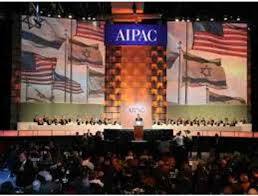 But there is another issue that the American Jewish community – and the U.S. Congress for that matter – must face. Will those who mercilessly criticized the President back in May, now “apologize” to him? Shouldn’t they? Because less than three months after the President was excoriated by Netanyahu, members of Congress, and many in the American Jewish community – the Prime Minister of Israel has now come around to exactly what Obama presented regarding borders in his two speeches (you can read key passages from those speeches here: https://beyondzs.com/2011/07/23/another-look-at-the-obama-and-netanyahu-speeches-given-in-may/). I hope that all who criticized the President then, will now come out and admit they were wrong in doing so. Or, alternatively, I hope they will level the same criticism at Prime Minister Netanyahu as they did at Obama back then. Rhetorical Question: If “1967 lines with mutually agreed swaps” was so terrible in May – how can it be a good idea now? Ayalon’s video is identical, image for image and in large part word for word, with one he made in May for the YESHA Council, the organization that represents and lobbies for the settlers. 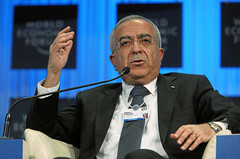 Bloomberg News has reported that Salam Fayyad plans to remain as Palestinian Prime Minister. The significance of this is that Hamas has previously stated that Fayyad is unacceptable, so if this holds up it almost certainly means that the unification deal between Hamas and Fatah will fall apart (as has happened before – and therefore was predicted by many). 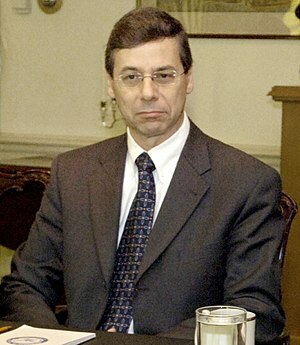 Fayyad is very well liked and respected in the West because he has a PhD in Economics from the University of Texas, he has cleaned up a tremendous amount of corruption, he has administered the country such that the current economic growth rate is claimed to be about 7%, and finally, his Palestinian police force has worked so well with US General Dayton and the IDF that many checkpoints were able to be eliminated. Come to think of it – those are probably the same reasons that Hamas rejected him. Palestinian Authority Prime Minister Salam Fayyad said he will resist pressure to resign and aims to continue in office while the rival Hamas and Fatah factions try to form a joint government. Fayyad, speaking to reporters today in the West Bank city of Ramallah, said he wants to at least complete his two-year plan to build the institutions for Palestinian statehood that are supposed to be ready in August.